Bishop Haik Hovsepianmehr was a Christian pastor and evangelist who championed religious liberty in his native Iran in the 1980s and '90s. He was elected the first president of Iran's Council of Protestant Ministers in 1986, and communicated with the British Parliament and United Nations concerning Iranian infringements on religious liberty. In particular, he drew attention to the plight of Rev. Mehdi Dibaj, a Muslim convert to Christianity who was imprisoned for his faith from 1983 until 1994. In 1993 an Iranian court sentenced Dibaj to death, but international objections assisted by Bishop Haik's press campaign led to the prisoner's release Jan. 16, 1994. Three days later, on Jan. 19, Bishop Haik vanished from the streets of Tehran. Eleven days later, on Jan. 30, police informed the family that an unknown assailant had murdered Haik. A Time magazine investigation concluded that deaths such as Haik's were not random acts of violence, but the work of death squads taking orders from leading Iranian clerics. Bishop Haik was 49 at the time of his death. 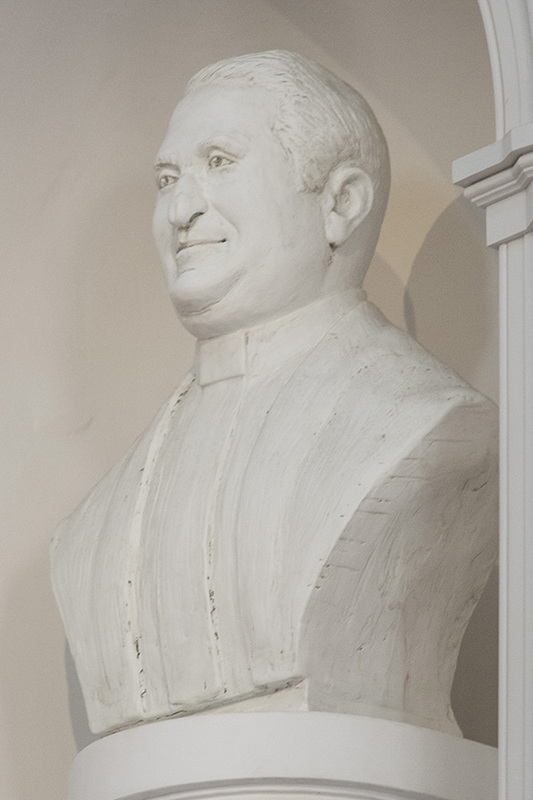 He is one of six martyrs memorialized in statuary in Samford University's Hodges Chapel. "Bishop Haik was a well-known Pentecostal pastor in Iran, put to death under Ayatollah Khomeini," noted Beeson Divinity School Dean Timothy George. "We remember him because of his fervent faith, his powerful proclamation of the Gospel, and his courage unto death." Bishop Haik's family eventually relocated in California, where the 20th anniversary of Haik's martyrdom will be observed Saturday, Jan. 25. The service will be at Glendale Presbyterian Church in Glendale.